Do you want to start creating content for SEO fast and more effectively? You already know the importance of content in SEO and that writing with optimization in mind is how Google will find your website. But, How do you predictably and consistently create content fast to grow your reach, please your target audience, and sell more stuff? I’m going to share with you hacks the pros would make you pay for and tell you the 5 steps any YouTuber or blogger can do to create content for SEO fast. You don’t have time to waste dragging out the content creation process. Maybe you’re taking on a 90-day content challenge, maybe you just want to start building up your blog. As a content creator, you want to be able to create content for SEO fast, without compromising the quality of your content. It starts with using a fast and easy keyword tool to get the ball rolling. From there, we are going to use another free tool to quickly create an SEO optimized outline, get a few words to include in our content and then you just fill in the outline. Your goal is to get in, create your content, and get on with your day. I recorded this for you on a podcast as well! Take this time saving SEO tip with you in your podcast app. It’s not just about knowing how to do keyword research and content optimization. It’s also about creating a ton of content that will bring your audience value because your income is tied to value. Value is what’s going to bring you long-term results and how many people you’re connecting to depends on how you play the content optimization game. If you want to become a successful content creator, you have to do the work and commit to the process of SEO content marketing. Google and your audience loves fresh and updated content, keep your audience engaged and continue to expand your reach populating for more search queries. Challenge yourself, create content for SEO fast and often, it’s the hustle way to make money online without a huge investment. My most valuable, long-term customers come from years of writing SEO content for our website. Do the work, your future successful lifestyle will thank you. These important SEO tools can be used in building an SEO friendly website or creating optimized videos for YouTube. The best part is this won’t cost you thousands of dollars to learn and the tools can be free. Determining your primary keyword is step one to creating content fast. Focusing on keywords is the fundamental of content optimization, it’s how you can ensure you are creating your content so you can get found. What good does it do in helping people or growing your business if someone that is Googling a problem that you solve and you do not populate to the searcher? No good for you and no help to them! I use KW Finder because it is the fastest way to get the keywords we need to create our content. You can sign up for a free account which gives you five free searches a day or upgrade (The Best $49 a month I spend on my business!) to a paid plan later if you need more than that. It’s really straightforward and simple to use, so you don’t need to be an SEO pro to tinker around with this tool. Get in get out, move on with life. I have tested all the keyword tools and I only pay for and use KW Finder now. The best tool to use to create content for SEO that shows what Google wants is none other than Google. Get your keywords straight from the source. 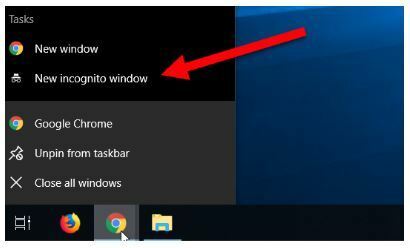 You need to use Google incognito because, if you use your browser window as is, your search results won’t be accurate and it’ll be bias thanks to Google’s super memory. You want fresh searches that have ZERO connection or relevance to YOUR past searches to find the best SEO keywords for your content. 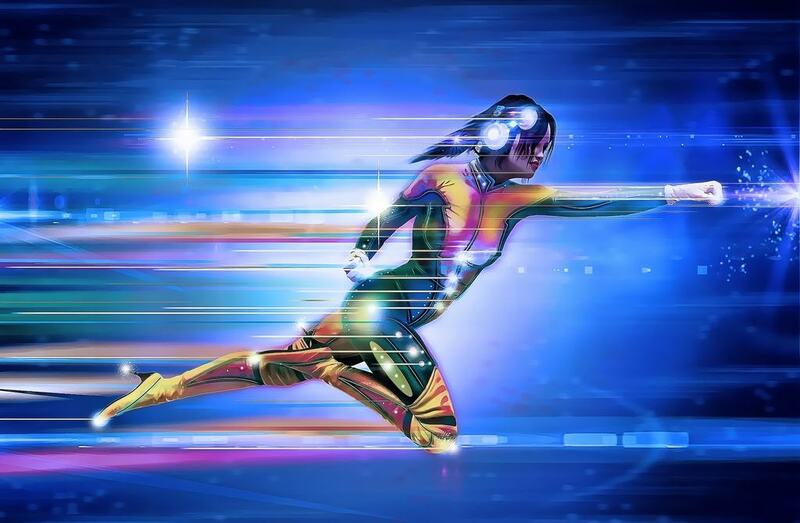 SEO Optimized Article Example: How to Build Your Outline Fast! I’m going to use vegan dog food as my SEO content writing example today. I use this exact method in my YouTube Video Marketing as well. This is the fastest way to build an outline and create an SEO optimized article or Video. Look over my shoulder as I create this blog outline in this video. Let the search for SEO content begin! 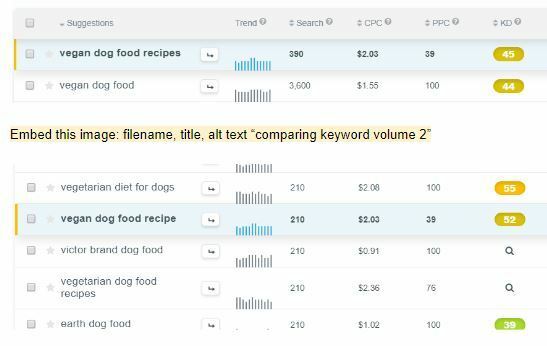 In today’s SEO article example we’re going to be writing about vegan dog food. 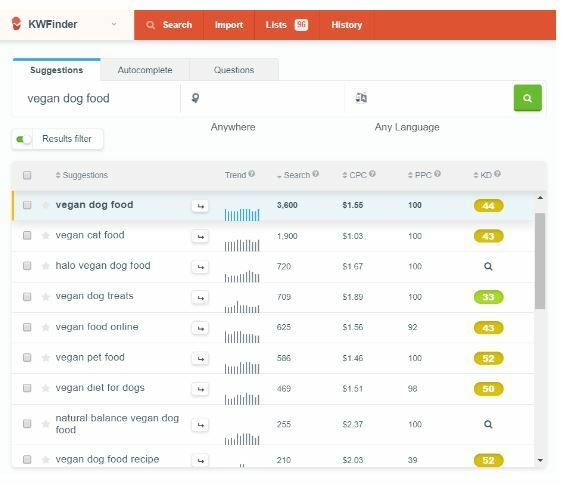 Pull up KW finder and type vegan dog food into the search bar and hit enter. Then hit the “Search” Column and it will sort the keyword queries from high to low. We want to make sure Vegan Dog Food is the highest search phrase for this article. It is and our primary keyword for our SEO optimized article is defined. Your main keyword is going to be included in your title. Writing for SEO pro tip - If there was a relevant search query that had a lower difficulty score, depending on my site authority, I would choose the lower in difficulty keyword. You want this Primary Keyword in your header tag, your H1. In addition to getting your keyword in your H1, another tip when writing for SEO is to craft a killer headline. Google tracks how often your blog post gets clicked on search results and better headlines get clicked more. Include the keyword and write a title that is super enticing to click through and read. Don’t just make your headline “Vegan Dog Food”, Wouldn’t you rather read “The Ultimate Vegan Dog Food Guide in 2019”? Make an awesome title and make sure that is an H1 on your blog post. H1 is the title of your “book”, H2’s are the chapters. You aren’t looking for just one main keyword, but you also want sub keywords to use for other headings to write the best content for SEO. A book has more than one chapter right? I open the Results filter section of KW finder and put in the word vegan in the Included keywords box. We get many more keywords like vegan cat food, vegan dog treats, vegan diet for dogs. Scroll through this list and add any items to your outline that will make good “Chapters” to optimize your Ultimate Guide of Vegan Dog Food. So far, my article outline would look something like this. H2 - Vegan Dog Treats or Vegan Dog Biscuits? I might include vegan puppy food since this is the ultimate guide but, there are plenty of keywords still on this list for many more posts, so maybe save that one for later. After you have your primary and additional relevant keywords defined from the research done with KW finder, open up an incognito window and go to Google. 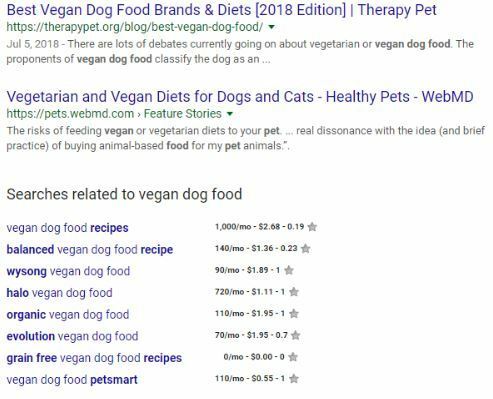 In this example, vegan dog food is the main keyword so that’s what will go into the Google search bar. I am looking at two sections of the Google search results to get more guidance for our content optimization. The “People also ask” and “Searches related to” vegan dog food. Before I hit search I see these autocomplete queries in the Google search box. You just got 9 future post ideas to add to your SEO content strategy, add them to your master content ideas list! Finish typing vegan dog food and hit enter. Google gives you these questions people ask and related searches to the search phrase you put in Google search. I instantly notice, Can a dog eat a vegan diet? That is definitely an outline enhancer. Going to add that as an H2 for sure! Now let’s scroll to the bottom of Google’s search page results. Google related search says, vegan dog food recipes. In our current outline, we have recipe. I put each of those keywords in KW finder and get these results. 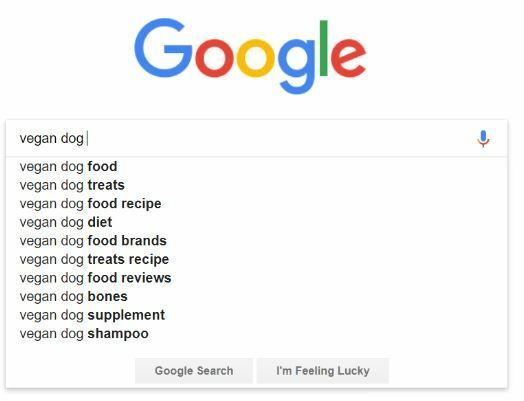 Vegan dog food recipes are searched more, you will see below that Google sees these words as the same but more people are searching for recipes than a recipe so let’s give the people what they want! H2 - Can a dog eat a vegan diet? H2 - Vegan Dog Treats or Vegan Dog Biscuits Which Will Your Dog Prefer? Related searches can become new topics to write or do videos on but the best thing about them is they can be turned into optimized headings and subheading for your SEO content. We want to get one more SEO hack for our article before we close Google and write. 4. Notice the Bold Words on the Google Search Results? Take a look at your search results, do you see any bolded terms? There’s a reason Google does this. Google is identifying these bolded words as relevant to your main search query. In technical, nerdy terms, we call these words LSI, it stands for Latent Semantic Indexing. It is basically Google’s thesaurus database. We got, vegan, pet, recipes, recipe, grain free, organic, and more! Google is basically saying that “dog” and “pet”, “vegan” and “vegetarian” are the same phrases (a vegan purist would disagree, know your niche!) so you can use these phrases interchangeably and create a more dynamic piece of content that isn’t just repeating “vegan dog food”. Take note because the results are going to highlight other possible words to include in your paragraphs and headlines, plus give you topic ideas for future content for SEO. With all these brand names, words like best and reviews, my next post would definitely be a brand review post. Going to build an affiliate marketing website! All that we have left is to fill in the holes. In high school, you learned how to write an essay. An intro, 3 main points, 3 sub-points for each main point, and then your conclusion. That is all you have to do here. H2 - What is Vegan Pet Food and How Does it Differ From Vegetarian Pet Food? YouTube tip - If I was doing this for YouTube videos, this would be more than one video and would make a rocking Playlist! 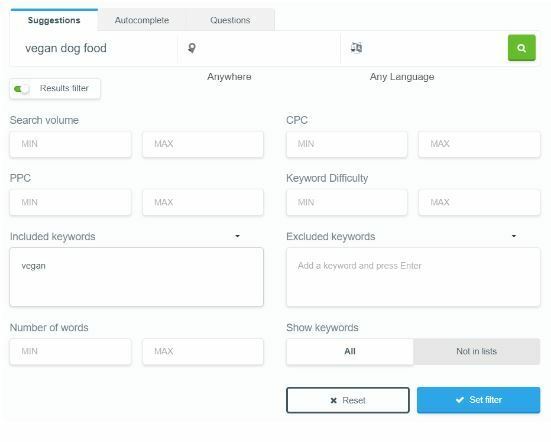 Interchange your LSi words as you are writing, if any of the other keywords, related searches, and people ask phrases fit in as you are writing. Add in an infographic, embed a few YouTube videos and you have one hell of a post! Do this 50 times, and you my friend are on your way to a building a successful authority website. When your making content for SEO, the first one is always the toughest, trust me. But it’ll be easier for your next post. Promise! Learn the process of keyword research, creating an outline, mastering the techniques on how to write SEO content for your website and from there, do the work. Don’t just create content for SEO, do it fast and get your message out to the world! Need a little extra motivation? Try my 90 day Content Challenge and activate your content machine. If you’ve got questions, I have answers, let me know in the comments below and I’d be happy to help.